Rend Collective are back. This could one of the best Rend albums to date. Enjoy!! That's all you need to hear friends, now go and get it! Let me give a little bio about the band and this release. 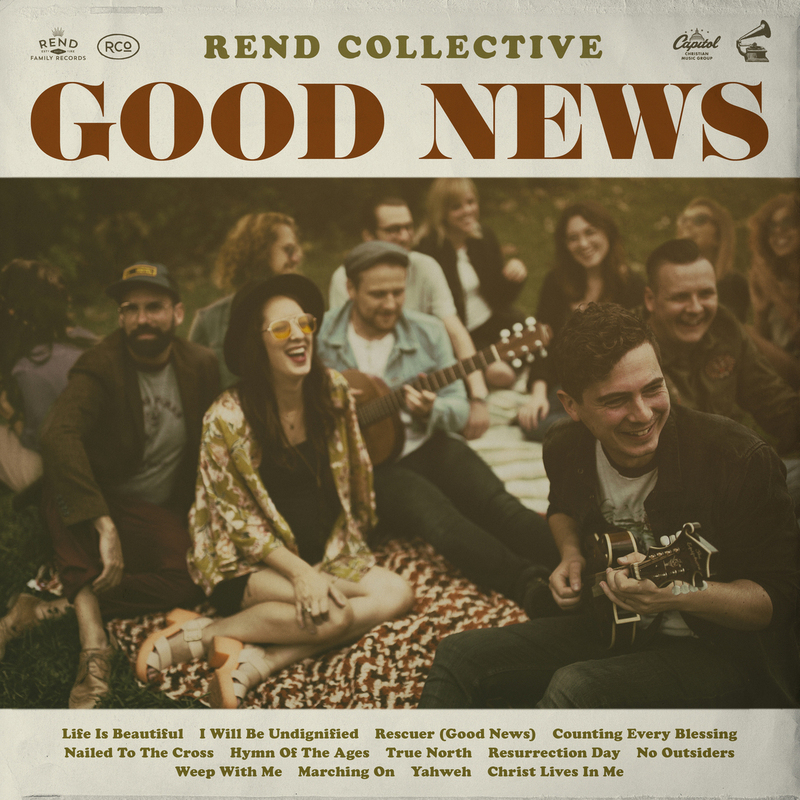 Rend Collective have released their brand new album 'Good News'. The band have described it as their most honest album to date. "To be a wee bit vulnerable, we have honestly felt that in the past our music has at certain times been influenced by the universal desire to be liked and accepted", the group admits. Read More Rend Collective are back. This could one of the best Rend albums to date. Enjoy!! "And we’re done with that. This writing process has been a concerted effort to be our indie, Irish, slightly odd selves. In other words, we tried to be the band God made us to be, running unfettered by our critics into His calling. And it’s equal parts scary and exhilarating. We hope that as you listen to it wherever you are today, that you feel the deep love of God and His desire to reconcile humankind to Himself. What is "the gospel"? Why is it good news? Why doesn't it always SOUND like good news? Who should it sound like good news to? These are some of the questions we try to ask and answer in our latest record." As always with Rend albums, we have strong vocals, catchy melodies and a bunch of songs that ooze passion. Good News is not only a quality record it’s honest and positive in its message. Might I even be as bold as to say it's the most 'them' album we have had since their first album. There is so much going on with this album and I kind of don't want to spoil it for you, I would love you to experience it without some words from us to spoil it. But Life Is Beautiful is an instant foot thumping classic. I Will Be Undignified really heads back to the Irish sounding style and Counting Every Blessing has this Gospel feel to it.